AppsPlus has years of experience in database development. A Microsoft MVP, AppsPlus specializes in Windows and web-based programming. The president of AppsPlus, F. Scott Barker, has written multiple books on programming. AppsPlus has been working with the dtSearch Text Retrieval Engine for nearly a decade. “The dtSearch Engine provided the functionality and great performance we needed,” said Mr. Barker. 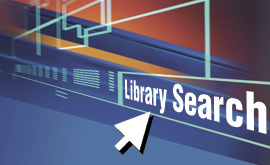 For the word list on the web, “AppsPlus integrated dtSearch with AJAX for optimal performance.” In addition to a simple web interface created using ASP.NET, users may join at various levels for searching standard or advanced libraries. “Being able to maintain our documents remotely, and not have a technical degree to do it, was very important,” added Mr. Barker. AppsPlus created a maintenance page for administrators to maintain documents on the server remotely, including adding and subtracting documents, maintaining a noise word list and updating dtSearch indexes, both automatically and on-demand. AppsPlus clients for software development include industries ranging from the government, insurance, banking, medical analysis — even projects for Microsoft. Mr. Barker, a former Microsoftie, is the author of a multiple books published by SAMS and Wrox Publishing on programming techniques, including Wrox’s C# Express Starter Kit.